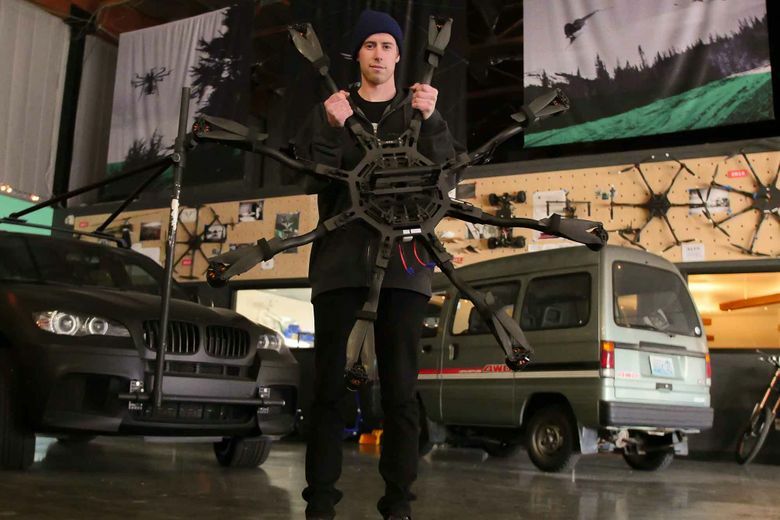 Meet Coltin Knudson, who is a production lead at Woodinville-based Freefly Systems, working on camera drones for cinematographers. What do you do? I work for Freefly Systems, a company that specializes in camera movement. I build all of the equipment you don’t see, behind the scenes of big Hollywood movies. Our products stabilize cameras, so the footage is really smooth. There aren’t any bumps or shakes, and it allows people to create amazing shots. I’m the production lead building the ALTA Pro drone. I assemble, program, calibrate, test and package them. How did you get started in that field? I’ve always liked working with my hands. When my buddy told me the startup he worked at needed someone to build brushless motors for camera stabilizers, I thought, why not. I went from building those motors to building the entire drone. I started out doing basic assembly and now I do everything. What’s a typical day like? I always have a bunch of work orders to fill. When I come in to work I might have 10 drones at different stages of being built. Mostly, I’m just working with my hands all day, wrenching. I work in a huge warehouse full of camera equipment, electric scooters and long boards — pretty much full of toys with creative people and shenanigans happening throughout the day. What surprises people about what you do? People don’t realize that when they are watching “Game of Thrones” or the Tour De France, that parts were filmed using the products I assemble. What’s the best part of the job? It’s seeing what people can capture with these products that gets me stoked about what I do. When people fly their ALTA through woods or around a wind turbine, it’s awesome. It has taken it to another level. People can capture video in ways they couldn’t before. Michelle Archer: marcher@seattletimes.com; on Twitter: @SeaTimesExplore.